Why Do Alzheimer's Patients Cry Or Laugh? Very often by the time people reach early midstage in the diseases, they do tell you the absolute truth, as they see it, feel it and think it. Whether it matches our reality is our problem, not theirs. They are not lying to us. I wish I knew about this when my mother was alive. I might have been able to help her. I’d naturally attribute it to her Alzheimer’s disease. But I was wrong. Now I know that it was really PBA (Pseudobulbar Affect). Pseudobulbar affect (PBA), emotional lability, labile affect or emotional incontinence refers to a neurologic disorder characterized by involuntary crying or uncontrollable episodes of crying and/or laughing, or other emotional displays. PBA occurs secondary to neurologic disease or brain injury. Patients may find themselves crying uncontrollably at something that is only moderately sad, being unable to stop themselves for several minutes. Episodes may also be mood-incongruent: a patient might laugh uncontrollably when angry or frustrated, for example. PBA affect generally happens along side other neurologic diseases or events such as Alzheimer’s or other dementias, Stroke, Traumatic Brain Injury, Multiple Sclerosis or ALS (Lou Gehrig’s disease). PBA symptoms are sudden, unpredictable short bouts of laughing or crying that are NOT able to be controlled and are NOT reflective of the person’s true feelings at the time. It is estimated that 2 million people have this condition. Well, there is an FDA approved medicine for it called Nuedexta. Nuedexta is supposed to lessen the number of events or stop them completely in 80% of the people they have tested. That is good news! Also recommended is to distract the person with something else, maybe a funny story or two or a funny video, if it’s the crying aspect of the disease showing. If it’s the laughing part of the disease showing, removing the person to a quiet place and playing some soothing music, or showing them a calming video, of nature or underwater scenes. You could give them a shoulder and neck rub to relax the muscles that tense up when people are very emotional. It also helps the person focus on the sensation of the rubbing or kneading and may serve as a distraction for them. Sometimes coaching them thru deep breathing exercises may help them get over the bout. How do they feel about it? In one word, EMBARRASSED. Wouldn’t you? What can you do to help them emotionally? Tell them it’s part of a disease. It’s not their fault. You understand it’s something they can’t help. It’s something that will stop on its own shortly. (Because it will stop shortly. Most bouts last only a few minutes.) You love them and you are proud of them, even if this happens occasionally. They aren’t alone in this happening, 2 million others suffer with it too. What lessons did I learn from discovering this affect exists? When someone is crying for a short time on a periodic basis, it doesn’t ALWAYS mean that they are depressed. Don’t automatically ask for an antidepressant or to increase the dose if they are already on an anti-depressant. (The less meds the better). Ask them if they are sad, don’t assume they are. I know that many people with dementia have depression, just don’t assume it always exists. Listen to what they say when they answer the question why are they crying? If they say, “I don’t know.” Believe them. Very often by the time people reach early midstage in the diseases, they do tell you the absolute truth, as they see it, feel it and think it. Whether it matches our reality is our problem, not theirs. They are not lying to us. They are telling us the way it is to them. Ask your doctor about these bouts of laughing or crying. Tell him about this article and use the letters PBA when you are explaining what happens. Your family doctor may not know about the existence of PBA (Pseudobulbar Affect). He can research it, and prescribe the drug, if it’s appropriate for your loved one. Side effects and tolerance must be taken into account in that decision, of course. It’s too late for me, but it may not be for you. 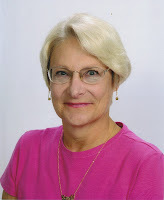 Carole Larkin MA, CMC, CAEd, DCP, QDCS, EICS is an expert in Alzheimer’s and related Dementias care. She also is a Certified Geriatric Care Manager who specializes in helping families with Alzheimer’s and related dementias issues. Carole can consults with families via telephone nationwide on problems related to the dementia. Her company, ThirdAge Services LLC, is located in Dallas, TX. To learn more about Alzheimer's and Dementia visit the Alzheimer's Reading Room.